Infinite Tower is an Android adventure game developed byDigital Samuraiaimed at testing your skill with one simple goal: try not to die. You have to run across endless rooms filled with all kinds of things to try and end your life including fireballs and goblins. 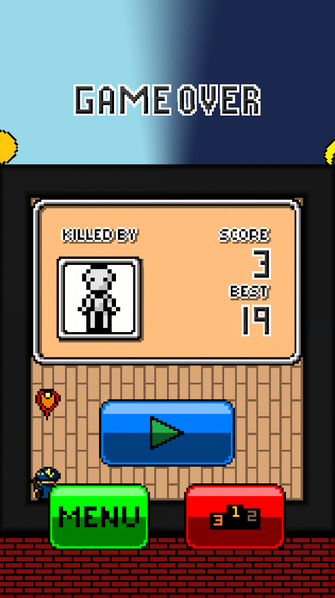 With 3 lives, you need to try and reach the end of the level and it’s not as easy as it sounds. Infinite Tower uses a very appealing pixel art to offer a retro feel to the game, and it works really well, with a very nice layout showing your remaining lives. The only improvement I could comment on with the design would to perhaps decrease the amount of room the sky background takes up to allow the level to be made bigger, but a very minor point. The app does feature in-app purchases which allows you to purchase additional player skins. 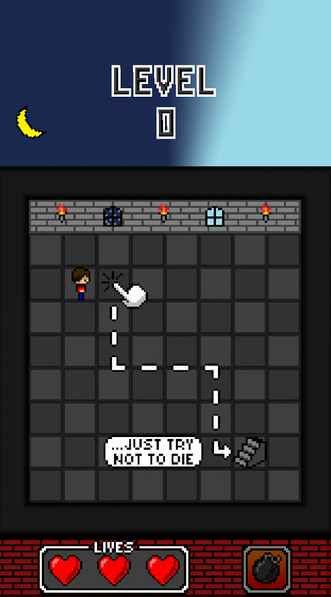 There’s also power ups such as a bomb that will allow you to eliminate all enemies on that particular level. Infinite Tower is an addictive well designed game that is one of those you’ll pick up and play for a few minutes before getting frustrated, only to be returned to a few hours later. It’s available in the Google Play Store for free.